Daimler confirmed Sunday it was facing a regulatory probe after a report said German authorities have uncovered a previously unknown type of pollution trickery software allegedly installed by the car giant in some of its vehicles. The Federal Motor Transport Authority (KBA) has initiated a formal hearing procedure, Bild am Sonntag newspaper reported. The Stuttgart-based carmaker confirmed the hearing procedure. “We fully cooperate with the Federal Motor Transport Authority and are reviewing the facts,” said Daimler in a statement. According to the Bild report, around 60,000 vehicles of the Mercedes-Benz GLK 220 CDI models produced between 2012 and 2015 were affected. The software allegedly reduced emissions of nitrogen oxide during test conditions. On the road however, the affected vehicles were spewing out amounts of the harmful gas that were above regulatory limits. The KBA last year had already ordered Daimler to recall 700,000 vehicles worldwide, including 280,000 in Germany, over illegal software — a ruling the carmaker is appealing. 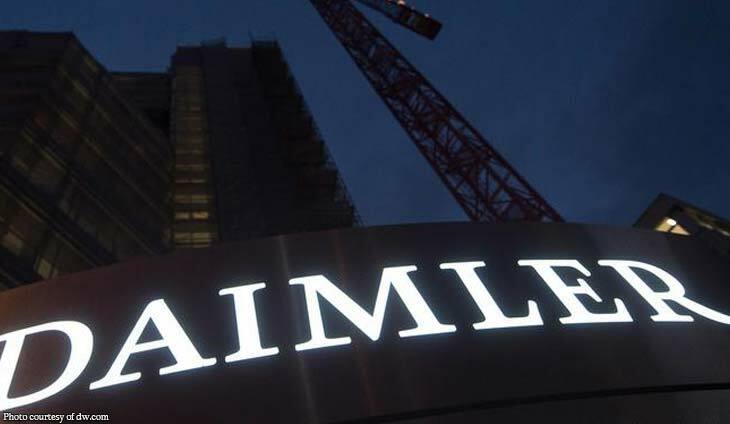 Daimler is also potentially facing a big fine over the diesel scam as German prosecutors said in February they had opened a “fine procedure” against it. This tax credit scam has stretched on until 2014.